Апоптоз как иммуномодулирующая форма клеточной гибели играет стабилизирующую роль в поддержании оптимального количества клеток в организме. Биологическая сущность гибели клеток при инфекционной патологии освещена недостаточно, а понятие об отрицательном и положительном значении апоптоза в патогенезе болезней представлено неоднозначно. В обзоре основное внимание сосредоточено на классичес ком каспаза-зависимом апоптозе клеток врожденного и адаптивного иммунитета, реактивность которых связана c инициацией и исходом инфекционных процессов. Ряд возбудителей бактериальных и вирусных инфекций способны быть триггерами или ингибиторами апоптоза в эукариотической клетке хозяина, избегая действия факторов иммунной системы. При тяжелых инфекциях, протекающих с развитием сепсиса, фатальное значение имеет массивная апоптотическая потеря лимфоцитов в органах иммунной системы, что приводит к иммунодефицитному состоянию и у многих пациентов соответствует премортальному уменьшению циркулирующих лимфоцитов. Дальнейшие исследования по идентификации молекулярных элементов, с помощью которых патогенные агенты вызывают клеточную гибель, обеспечат разработку новых терапевтических подходов, включая ингибирование апоптоза, для предотвращения прогрессирования тяжелых инфекций. 17. Alileche A., Serfass E.R., Muehlbauer S.M., Porcelli S.A., Brojatsch J. Anthrax lethal toxin-mediated killing of human and murine dendritic cells impairs the adaptive immune response. PLoS Pathog., 2005, vol. 1, pp. e19. 18. Alonso A., Bottini N., Brucker S., Rahmouni S., Williams S., Schoenberger S.P. Lck dephosphorylation at Tyr-394 and inhibition of T cell antigen receptor signaling by Yersinia phosphatase YopH. J. Biol. Chem., 2004, vol. 279, pp. 4922–4928. 19. Ameisen J.C. On the origin, evolution and nature of programmed cell death: a timeline of four billion years. Cell Death Differ., 2002, vol. 9, pp. 367–393. 20. Ashida H., Mimuro H., Ogawa M., Kobayashi T., Sanada T., Kim M., Sasakawa Ch. Cell death and infection: a double-edged sword for host and pathogen survival. J. Cell Biol., 2011, vol. 195, no. 6, pp. 931–942. 21. Assrir N., Soussan P., Kremdorf D., Rossignol J.M. Role of the hepatitis B virus proteins in pro- and anti-apoptotic processes. Front Biosci., 2010, vol. 15, pp. 12–24. 22. Autenrieth I.B., Firsching R. Penetration of M cells and destruction of Peyer’s patches by Yersinia enterocolitica: an ultrastructural and histological study. J. Med. Microbiol., 1996, vol. 44, pp. 285–294. 23. Baize S., Leroy E.M., Georges-Courbot M.C., Capron M., Lansoud-Soukate J., Debre P. Defective humoral responses and extencive intravascular apoptosis are associated with fatal outcome in Ebola virus-infected patiants. Nat. Med., 1999, vol. 5, pp. 423–426. 24. Barber G.N. Host defense, viruses and apoptosis. Cell Death Differ., 2001, vol. 8, no. 2, pp. 113–126. 25. Baumann S., Krueger A., Kirchhoff S., Krammer P.H. Regulation of T cell apoptosis during the immune response. Curr. Mol. Med., 2002, vol. 2, pp. 257–272. 26. Blazer M.J., Atherton J.C. Helicobacter pylori persistence: biology and disease. J. Clin. Invest., 2004, vol. 113, pp. 321–333. 27. Brazeau E., Mahalingam R., Gilgen D., Wellish M., Kaufer B.B., Osterrieder N., Pugazhenthi S. Varicella-zoster virus-induced apoptosis in MeWo cells is accompanied by down-regulation of Bcl-2 expression. J. Neurovirol., 2010, vol. 16, pp. 133–140. 28. Boldrik J.C., Alizadch A.A., Diehn M., Dudoit S., Liu Ch.L., Belcher Ch.E., Botstein D., Staudt L.M., Brown P.O., Relman D.A. Stereotyped and specific gene expression programs in human innate immune responses to bacteria. Proc. Natl. Acad. Sci. USA, 2002, vol. 99, pp. 972–977. 29. Brodsky I.E., Medzhiniv R. Reduced secretion of YopJ by Yersinia limits in vivo cell death but enhances bacterial virulence. PLoS Pathog., 2008, pp. 4:e1000067. 30. Brune W. Inhibition of programmed cell death by cytomegaloviruses. Virus Res., 2011, vol. 157, pp. 144–150. 31. Burrito A., Bouza E. Chlamidophila pneumonia. Infect. Dis. Clin. North Am., 2010, vol. 24, pp. 61–71. 32. Byrne G.I., Ojcius D.M. Chlamydia and apoptosis: life and death decisions of an intracellular pathogen. Nat. Rev. Microbiol., 2004, vol. 2, pp. 802–808. 33. Carrero J.A., Calderon B., Unanue E.R. Listeriolysin O from Listeria monocytogenes is a lymphocyte apoptogenic molecule. J. Immunol., 2004, vol. 172, pp. 4866–4874. 34. Cummins N.W., Badley A.D. Mechanisms of HIV-associated lymphocyte apoptosis. Cell Death, 2010, vol. 1, pp. e99. 35. Danthi P. Enter the kill zone: initiation of death signaling during virus entry. Virology, 2011, vol. 411, pp. 316–324. 36. Dao D.N., Kremer L., Molano A., Jacobs W.R., Poecelli S.A., Briken V. Mycobacterium tuberculosis lipomannan induced apoptosis and interleukin-12 production in macrophages. Infect. Immun., 2004, vol. 72, pp. 2067–2074. 37. Dean D., Powers V.C. Persistent Chlamydia trachomatis infections resist apoptotic stimuli. Infect. Immun., 2001, vol. 69, pp. 2442–2447. 38. Denecker G., Declercq W., Geuijen C.A.W., Boland A., Benabdillan R., van Gurp M., Sory M., Vandenabeele P., Cornelis G.R. Yersinia enterocolitica Yop-induced apoptosis of macrophages involves the apoptotic signaling cascade upstream of bid. J. Biol. Chem., 2000, vol. 276, no. 23, pp. 19706–19714. 39. Doroshenko T., Chaly Y., Savitsky V., Maslakova O., Portyamko A., Gorudko I., Voitenok N. Phagocytosing neutrophils downregulate the expression of chemokine receptors CXCR1 and CXCR2. Blood, 2002, vol. 100, pp. 2668–2671. 40. Driscoll J.A., Brody S.L., Kollef M.H. The epidemiology, pathogenesis and treatment of Pseudomonas aeruginosa infections. Drugs, 2007, vol. 67, pp. 351–368. 41. Efron P.A., Tinsley K., Minnich D.J., Monterroso V., Wagner J., Lainee P. Increased lymphoid tissue apoptosis in baboons with bacteremic shock. Shock, 2004, vol. 21, pp. 566–571. 42. Elbim C., Monceaux V., Mueller Y.M., Lewis M.G. Early divergence in neutrophil apoptosis between pathogenic and nonpathogenic simian immunodeficiency virus infections of nonhuman primates. J. Immunol., 2008, vol. 181, no. 12, pp. 8613–8623. 43. Engelich G., White M., Hartshorn K.L. Role of the respiratory burst in cooperative reduction in neutrophil survival by influenza A virus and Escherichia coli. J. Med. Microbiol., 2002, vol. 51, no. 6, pp. 484–490. 44. Esen M., Schreiner B., Jendrossek V., Lang F., Fassbender K., Grassme H., Gulbing E. Mechanisms of Staphylococcus aureus induced apoptosis of human endothelial cells. Apoptosis, 2001, vol. 6, pp. 431–439. 45. Fermet K.A., Hall M.W., Clark R.S., Jaffe R., Carcillo J.A. Prolonged lymphopenia, lymphoid depletion, and gypoprolactinemia in children with nococomial sepsis and multiple organ failure. J. Immunol., 2005, vol. 174, pp. 3765–3772. 46. Fischer R., Baumert T., Blum H.E. Hepatitis C virus infection and apoptosis. World J. Gasrtoenterol., 2007, vol. 13, pp. 4865–4872. 47. Fishner S.F., Harlander T., Vier J., Hacker G. Protection against CD95-induced apoptosis by chlamydial infection at a mitochondrial step. Infect. Immun., 2004, vol. 72, pp. 1107–1115. 48. Fuchs T.A., Abed U., Goosmann C., Hurwitz R., Schulze I., Wahn V., Weinrauch Y., Brinkmann V., Zychlinsky A. Novel cell death program leads to neutrophil extracellular traps. J. Cell Biol., 2007, vol. 176, no. 2, pp. 231–241. 49. Geisbert T.W., Hensley L.E., Gibb T.R., Steele K.F., Jaax N.K., Jahring P.B. Apoptosis induced in vitro and in vivo during infection by Ebola and Marburg viruses. Lab. Invest., 2000, vol. 80, pp. 171–186. 50. Gergory C.D., Dive G., Henderson S., Smith S., Williams C.A., Goprdon G.T., Rickinson A.B. Activation of Epstein–Barr latent genes protects human B cells from death by apoptosis. Nature (London), 1991, vol. 349, pp. 612–614. 51. Gerschenson L.E., Rotello R.J. Apoptosis: a different type of cell death. FASEB J., 1992, vol. 6, pp. 2450–2455. 52. Gibb T.R., Bray M., Geisbert T.W., Steele K.E., Kell W.M., Davis K.J. Pathogenesis of experimental Ebola Zaire virus infection in BALB/c mice. J. Comp. Pathol., 2001, vol. 125, pp. 233–242. 53. Grassme H., Jendrossek V., Gulbins E. Molecular mechanisms of bacteria induced apoptosis. Apoptosis, 2001, vol. 6, pp. 441–445. 54. Grinberg L.M., Abramova F.A., Yampolskaya O.V., Walker D.H., Smith J.H. Quantitative pathology of inhalational anthrax 1: quantitative microscopic findings. Mod. Pathol., 2001, vol. 14, pp. 482–495. 55. Hacker G., Kirschnek S., Fischer S.F. Apoptosis in infectious diseases: how bacteria interfere with the apoptotic apparatus. Med. Microbiol. Immunol., 2006, vol. 195, pp. 11–19. 56. Hay S., Kannourakis G. A time to kill: viral manipulation of the cell death program. J. Gen. Virol., 2002, vol. 83, pp. 1547–1564. 57. He D., Hagen S.J., Pothoulakis C., Chen M., Medina N.D., Warny M., La-Mont J.T. Clostridium difficile toxin A caused early damage to mitochondria in cultured cells. Gastroenterology, 2000, vol. 119, pp. 139–150. 58. Heinz F.X., Allison S.L. The machinery for flavivirus fusion with host cell membranes. Curr. Opin. Microbiol., 2001, vol. 4, no. 4, pp. 450–455. 59. Henderson S., Rowe M., Gregory C., Croom-Carter D., Wang F., Longnecker R., Kieff E., Rickinson A. Induction of bcl-1 expression by Epstein Barr virus latent membrane protein 1 protects infected B cells from programmed cell death. Cell, 1991, vol. 65, pp. 1107–1115. 60. Holm G.H., Gabuzda D. Distinct mechanisms of CD4+ and CD8+ T cell activation and bystander apoptosis induced by human immunodeficiency viruc type 1 virions. J. Virol., 2005, vol. 79, pp. 6299–6311. 61. Hotchkiss R.S., Karl I.E. The pathophysiology and treatment of sepsis. N. Engl. L. Med., 2003, vol. 348, pp. 138–150. 62. Hotchkiss R.S., Osmon S.B., Chang K.C., Wagner T.H., Coopersmith C.M., Karl I.E. Accelerated lymphocyte death in sepsis occurs by both the cell receptor and mitochondrial pathways. J. Immunol., 2005, vol. 174, pp. 5110–5118. 63. Hotchkiss R.S., Swanson P.E., Cobb J.P., Jacobson A., Buchman T.G., Karl I.E. Apoptosis in lymphoid and parenchymal cells during sepsis finding in normal and T- and B-cell-deficient mice. Crit. Care Med., 1997, vol. 25, pp. 1298–1307. 64. Hotchkiss R.S., Tinsley K.W., Swanson P.E., Schmieg R.E., Hui J.J., Chang K.C. Sepsis-induced apoptosis caused progressive profound depletion of B and CD+ T lymphocytes in humans. J. Immunol., 2001, vol. 166, pp. 6952–6953. 65. Inglesby T.V., Dennis D.T., Henderson D.A., Bartlett J.G., Ascher M.S., Eitzen E. Plaque as a biological weapon: medical and public health management. Working Group on Civilian Biodefence. JAMA, 2000, vol. 283, pp. 2281–2290. 66. Inglesby T.V., O’Toole T., Henderson D.A., Bartlett J.G., Ascher M.S., Eitzen E. Anthrax as a biologival weapon, 2002: updated recommendations for management. JAMA, 2002, vol. 287, pp. 2236–2252. 67. Iriarte M., Cornelis G.R. YopT, a new Yersinia Yop effector protein, affects the cytoskeleton of host cells. Mol. Microbiol., 1998, vol. 29, pp. 915–929. 68. Jung C., Meinzer U., Montcuquet N., Thachil E., Chateau D., Thiebaut R., Roy M., Alnabhani Z., Berrebi D., Dussaillant M., Pedruzzi E., Thenet S., Cerf-Bensussan N., Hugot J-P., Barreau F. Yersinia pseudotuberculosis disrupts intestinal barrier integrity through hematopoietic TLR-2 signaling. J. Clin. Invest., 2012, vol. 122, pp. 2239–2251. 69. Kennedy A.D., DeLeo F.R. Neutrophil apoptosis and the resolution of infection. Immunol. Res., 2009, vol. 43, no. 1–3, pp. 25–61. 70. Kiener P.A., Davis P.M., Staring G.C., Mehlin Ch., Klebanoff S.J., Ledbetter J.A., Liles W.C. Differential induction of apoptosis by Fas- Fas-ligand interactions in human monocytes and macrophages. J. Exp. Med., 1997, vol. 185, pp. 1511–1516. 71. Knight R.A., Melino G. Cell death in diseаse: from 2010 onwards. Cell Death Dis., 2011, vol. 2, p. e202. 72. Kobayashi S.D., Braughton K.R., Whitney A.R., Voyich J.M., Schwan T.G., Musser J.M., DeLeo F.R. Bacterial pathogens modulate an apoptosis differentiation program in human neutrophils. PNAS, 2003, vol. 100, no. 19, pp. 10948–10953. 73. Kotelkin A., Prikhod’ko E.A., Cohen J.I., Collins P.L., Bukreyev A.l. Respiratory syncytial virus infection sensitizes cells to apoptosis mediated by tumor necrosis factor-related apoptosis-inducing ligand. J. Virol., 2003, vol. 77, no. 17, pp. 9156–9172. 74. Lamkanfi M., Dixit V.M. Manipulation of host cell death pathways during microbial infections. Cell Host Microbe, 2010, vol. 8, pp. 44–54. 75. Lathem W.W., Crosby S.D., Miller V.I., Goldman W.E. Progression of primary pneumonic plaque: a mouse model of infection, pathology and bacterial transcriptional activity. Proc. Natl. Acad. Sci. USA, 2005, vol. 102, pp. 17786–17791. 76. Lavrik I.N., Krammer P.H. Regulation of CD95/Fas signaling at the DISC. Cell Death Differ., 2012, vol. 19, pp. 36–41. 77. Le Tulzo Y., Pangault C., Gacouin A., Gulloux V., Tribut O., Amiot L. Early circulating lymphocyte apoptosis in human septic shock is associated with poor outcome. Shock, 2002, vol. 18, pp. 487–494. 78. Lee J., Hartman M., Kornfeld H. Macrophage apoptosis in tuberculosis. Yonsei Med. J., 2009, vol. 50, pp. 1–11. 79. Lee J., Remold H.G., Ieong M.H., Kornfeld H. Macrophage apoptosis in response to high intracellular burgen of Mycobacterium tuberculosis is mediated by a novel caspase-independent pathway. J. Immunol., 2006, vol. 176, pp. 4267–4274. 80. Lemaitre N., Sebbane F., Long D., Hinnebusch B.J. Yersinia pestis YopJ suppresses tumor necrosis factor alpha induction and contributes to apoptosis of immune cells in the lymph node but is not required for virulence in a rat model of bubonic plague. Infect. Immun., 2006, vol. 74, pp. 5126–5131. 81. Lewis K. Programmed death in bacteria. Microbiol. Mol. Biol. Rev., 2000, vol. 64, no. 3, pp. 503–514. 82. Lyles D.S. Cytopathogenesis and inhibition of host gene expression by RNA viruses. Microbiol. Mol. Biol. Rev., 2000, vol. 64, no. 4, pp. 709–724. 83. Little S.F., Ivins B.E. Molecular pathogenesis of Bacillus anthracis infection. Microbes Infect., 1999, vol. 1, pp. 131–139. 84. Ludwig S., Pleschka S., Planz O., Wolff T. Ringing the alarm bells signaling and apoptosis in influenza virus infected cells. Cell Microbiol., 2006, vol. 8, pp. 375–386. 85. Mahanty S., Bray M. Pathogenesis of filovirus haemorrhagic fevers. Lancet Infect. Dis., 2004, vol. 4, pp. 487–498. 86. Marriott H.M., Ali F., Read R.C., Mitchell T.J., Whyte M.K., Dockrell D.H. Nitric oxide levels regulate macrophage commitment to apoptosis during pneumococcal infection. FASEB J., 2004, vol. 18, pp. 1126–1128. 87. Mills S.D., Boland A., Sory M.P., Van der Smissen P., Kerbourch C., Finlay B.B., Cornelis G.R. Yersinia enterocolitica induced apoptosis in macrophages by a process requiring functional type III secretion and translocation mechanisms and involving YopP, presumably acting as an effector protein. Proc. Natl. Acad. Sci. USA, 1997, vol. 94, pp. 12638–12643. 88. Monack D.M., Mecsas J., Falcow S. Yersinia signals macrophages to undergo apoptosis and YopJ is necessary for this cells death. Proc. Natl. Acad. Sci. USA, 1997, vol. 94, pp. 10385–10390. 89. Meinzer U., Barreau F., Esmiol-Welterlin S., Jung C., Villard C., Leger T., Ben-Mkaddem S., Berrebi D., Dussailland M., Alnabhani Z., Roy M., Bonacorsi S., Wolf-Watz H., Perroy J., Ollendorff V., Hugot J-P. Yersinia pseudotuberculosis effector the Nod2/RICK/TAK1 pathway and activates caspase-1 to induce intestinal barrier dysfunction. Cell Host Microbe, 2012, vol. 11, pp. 337–351. 90. Nan G.J., Richmond J.E., Schlesinger A., Jennings E.G., Lander E.S., Young R.A Human macrophage activation programs induced by bacterial pathogens. Proc. Natl. Acad. Sci. USA, 2002, vol. 99, pp. 1503–1508. 91. Nathan C. A Toll-like receptor recognized bacterial DNA. Nature, 2002, vol. 420, pp. 846–852. 92. Nie Z., Bren G.D., Vlahakis S.R., Schimnich A.A., Brenchley J.M., Trushin S.A., Warren S., Schepple D.J., Kovacs C.M., Loutfy M.R., Douek D.C., Badley A.D. Human immunodeficience virus type 1 protease cleaves procaspase 8 in vivo. J. Virol., 2007, vol. 81, pp. 6947–6956. 93. Pan Y., Teng D., Burke A.C., Haase E.M., Scannapieco F.A. Oral bacteria modulate invasion and induction of apoptosis in HEp-2 cells by Pseudomonas aerugonosa. Microb. Pathog., 2009, vol. 46, pp. 73–79. 94. Parrino J., Hotchkiss R.S., Bray M. Prevention of immune cell of apoptosis as potential therapeutic strategy for severe infections. Emerg. Infect. Dis., 2007, vol. 13, no. 2, pp. 191–197. 95. Philip N.H., Brodsky I.E. Cell death programs in Yersinia immunity and pathogenesis. Front. Cell. Infect. Microbiol., 2012, vol. 2, no. 149, pp. 1–7. 96. Reed D.S., Hensley L.E., Geisbert J.B., Jahrling P.B., Gersbert T.W. Depletion of peripheral blood T lymphovytes and NK cells during the couse of Ebola hemorrhagic fever in cynomolgus macaques. Viral Immunol., 2004, vol. 17, pp. 390–400. 97. Rice K.C., Bayles K.W. Death’s toolbox: examining the molecular components of bacterial programmed cell death. Mol. Microbiol., 2003, vol. 50, no. 3, pp. 729–738. 98. Rice K.C., Bayles K.W. Molecular control of bacterial death and lysis. Microbiol. Mol. Biol. Rev., 2008, vol. 72, pp. 85–109. 99. Ring A., Braun J.S., Pohl J., Nizet V., Stremmel W., Shenep J.L. Group B streptococcal beta-hemolysin induced mortality and liver injury in experimental sepsis. J. Infect. Dis., 2002, vol. 185, pp. 1745–1753. 100. Rudel T., Kepp V., Kozjak-Pavlovic V. Interactions between bacterial pathogens and Mitochondrial cell death pathways. Nat. Rev. Microbiol., 2010, vol. 8, pp. 693–705. 101. Rydell-Tormanen K., Ulter L., Erjefalt J.S. Direct evidence of secondary necrosis of neutrophils during intense lung inflammation. Eur. Respir. J., 2006, vol. 28, pp. 268–274. 102. Sanchez A., Lukwiya M., Bausch D., Mahanty S., Sachez A.J., Wagoner K.D. Analysis of human peripheral blood samples from fatal and nonfatal cases of Ebola S dan) hemorrhagic fever cellular responses, virus load, and nitric oxide levels. J. Virol., 2004, vol. 78, pp. 10370–10377. 103. Sebbane F., Gardner D., Long D., Gowen B.B., Hinnebusch B.J. Kinetics of disease progression and host response in a rat model of bubonic plaque. Am. J. 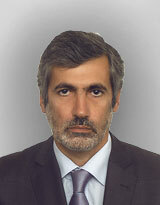 Pathol., 2005, vol. 166, pp. 1427–1439. 104. Stenner-Liewen F., Liewen H., Zapata J.M., Pawlowski K., Godzik A., Reed J.C. CADD, a Chlamydia protein that interacts with death receptors. J. Biol. Chem, 2002, vol. 277, pp. 9633–9636. 105. Temonen M., Lankinen H., Vapalahti O. Effect of Interferon-alpha and cell differentiation on Puumala virus in human monocyte/macrophages. Virology, 1994, vol. 206, pp. 8–15. 106. Tesh V.L. Induction of apoptosis by Shiga toxins. Future Microbiol., 2010, vol. 5, pp. 431–453. 107. Toti P., de Felice C., Occhehini R., Schuerfeld K., Stumpo M., Epistolato M.C. Spleen depletion in neonatal sepsis and chorioamnionitis. Am. J. Clin. Pathol., 2004, vol. 122, pp. 765–771. 108. Twomay C., McCarthy J.V. Pathways of apoptosis and importance in development. J. Cell Mol. Med., 2005, vol. 9, no. 2, pp. 345–359. 109. Ulett G.C., Adderson E.E. Regulation of apoptosis by Gram-positive bacteria: Mechanistic diversity and consequences for immunity. Curr. Immunol. Rev., 2006, vol. 2, pp. 119–141. 110. Viboud G.I., Bliska J.B. Yersinia outer proteins: role in modulation of host cell signaling responses and pathogenesis. Annu. Rev. Microbiol., 2005, vol. 59, pp. 69–89. 111. Wesche D.E., Lomas-Neira J.I., Perl M., Chung C.S., Ayala A. Leukocyte apoptosis and its significance in sepsis and shock. J. Lekoc. Biol., 2005, vol. 78, pp. 325–337. 112. Wickman G., Julian L., Olson M.F. How apoptotic cells aid in the removal of their own cold dead bodies. Cell Death Differ., 2012, vol. 19, pp. 735–742. 113. Yamada K., Elliott W.M., Brattsand R., Valeur A., Hogg J.C., Hayashi S. Molecular mechanisms of decreased steroid responsiveness induced by latent adenoviral infection in allergic lung inflammation. J. Allergy Clin. Immunol., 2002, vol. 109, no. 1, pp. 35–42. 114. Yamasaki E., Wada A., Kumatori A., Nakagama I., Funao J., Nakayama M., Hisarsune J., Kimura M., Moss J., Hirayama T. Helicobacter pylori vacuolating cytotoxin induces activation of the proapoptotic proteins Bax, leading to cytochrome С release and cell death, independent of vacuolation. J. Biol. Chem., 2006, vol. 281, pp. 11250–11259. 115. Zauberman A., Cohen S., Mamroud E., Flashner Y., Tidhar A. Interaction of Yersinia pestis with macrophages: limitations in YopJ-dependent apoptosis. Infect. Immun, 2009, vol. 74, pp. 3239–3250. 116. Zhang B., Hirahashi J., Cullere X., Mayadas T. Escherichia coli induces bovine neutrophil cell death independent from caspase-3/-7/-1, but with phosphatidylserine exposure prior to membrane rupture. J. Biol. Chem., 2003, vol. 278, pp. 28443–28454. 117. Zychlinsky A., Sansonetti P. Apoptosis as a proinflammatory event: what can we learn from bacteria-induced cell death. Trends Microbiol., 1997, vol. 5, no. 5, pp. 201–204.